Genealogical research has become easier, more prevalent, and increasingly popular in the past several years, since the advent of internet access. Tracing your family tree from leaves to roots is a fun, addictive, and rewarding experience. In order to join our Society, you need to document your direct lineage from a Mayflower passenger. Although it may take some time to complete this task, your search is aided by a myriad of resources, and the foundation laid by those who searched before you. For the beginner, we recommend you start with the living. Interviews with parents, grandparents, aunts, uncles and other family members may provide the facts and clues you need. The four most recent generations in your family’s history can probably be documented by collecting records in the family archives. They may be in an old aunt’s attic. They may be in your father’s basement. Or, they may be in the possession of some family member who showed vague signs of genealogical interest before you came along; and thereby collected valuable records which were never reviewed. Lay your hands on these items first and document all the names, dates and places of your life, up to the lives of your great-grandparents. With this you will have laid an important foundation. Do this before you concentrate too heavily on one line. When you have the preceding data, you may want to acquire software to record your genealogical information. There are many different brands. Use whatever suits you. Also, be sure to make photocopies of everything. The word of your relatives is many times inaccurate, and true hereditary research is validated only in actual, primary sources. This would include birth, death and marriage certificates, as well as vital records, church records, family bibles, land records, probate records and town records. 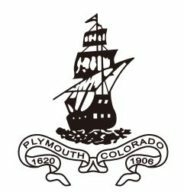 Like most hereditary societies, The Colorado Society of Mayflower Descendants accepts only primary documented sources. When you have your primary lines (you should have eight established if possible), then choose the line you want to track and begin your work. By now you will have an idea what part of the country from whence these people came. Generally, the next two or three lines back can be more difficult than those which are even older. The late nineteenth century saw much travel, and poor record-keeping in some areas. If your family stayed in the east, you should have very little problem obtaining the documents you seek. Write to the vital records departments at the city, county and state levels for about five to ten specific documents you would like to obtain. Be as specific as possible and include the correct payment. At this point, it is also wise to search the census records between the years of 1850 and 1900. Before 1850, national census records included only heads of households. The latter half of that century included all family members. Plan a trip to a large library in your region and spend a few days acquiring documentation when you have as much as you are able to secure from writing to various vital records departments. You may need to continue writing, but it is wise to check a variety of sources. There will be a librarian at the library who probably knows how to educate you in genealogical library research. Listen carefully to them. In addition, locate the LDS research center in your area. The Mormon Church is a wonderful resource for ordering all sorts of records. Remember, what you are looking for is an actual record or photocopy of an original record. This is your proof of the line. An old story handed down verbally is family lore. Notes jotted down by an old aunt may simply be very, very old family lore. The records probably exist…it is your mission to find them. There is no greater reward in genealogical research than to find the missing link in a family line, and to have the documentation in-hand. Online resources are good because they are easy to use in the comfort of your home, and they may give you some direction when you actually track down the true records. Remember though, printing off genealogical records from the internet is little more than printing off clues for your mission. The person who put the information there may be reciting the lore of an old aunt of their own. You just don’t know. Below are the three best sites for genealogical research, in my opinion. Don’t get lost roaming their catacombs. Happy Hunting!